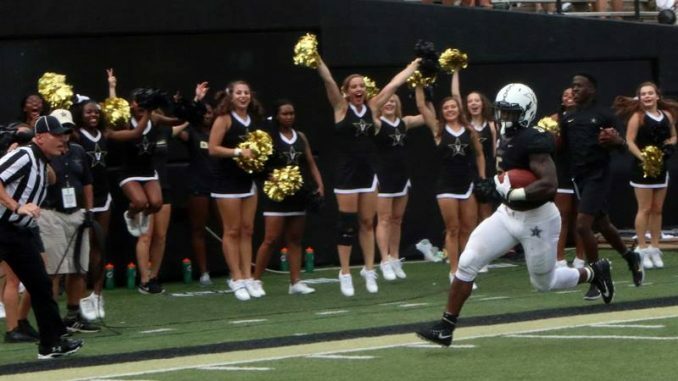 The Vanderbilt football team does not appear ready to beat Florida this upcoming weekend. No one would argue with that statement. 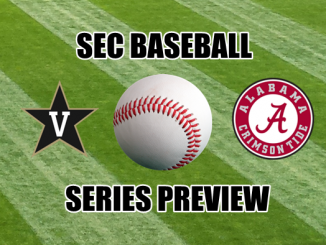 Yet, that outward appearance can offer inner encouragement for the Commodores as they prepare for their next game. Vanderbilt’s visit to Athens for a trip Between The Hedges did not defy expectations. 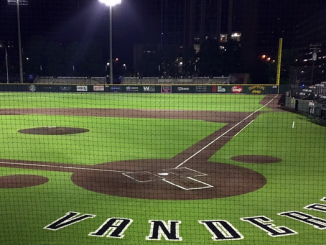 Vanderbilt was supposed to get smoked, and that’s what the Bulldogs did to VU in a predictable instance of one-way traffic. 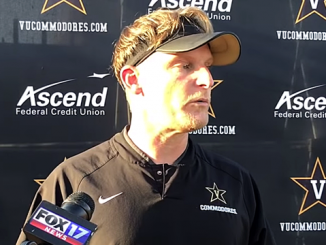 Vanderbilt could not land big blows on offense, moving the ball moderately well but not finding the daggers needed to score at a respectable rate. A defense which was shoved around by South Carolina’s offensive line — which subsequently got outplayed by Kentucky’s defensive front — did not figure to withstand the punishment dealt out by Georgia’s offensive line. After 560 UGA yards, over 215 on the ground, Georgia showed how muscular it was. Vanderbilt often stuffed the tackle box in an attempt to shut down the Georgia ground game, but it didn’t really matter. This wasn’t disappointing. This was what everyone figured Dores-Dawgs was going to be. Now comes another game Vanderbilt isn’t expected to win, but the difference between Georgia in Week 6 and Florida in Week 7 is that Vanderbilt might actually be able to keep this game close. 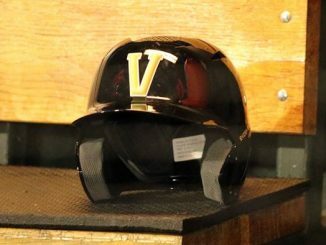 As for the much taller task of winning the game outright, VU needs to find something powerful, something which can increase belief, something which can show everyone in the locker room that victory is a realistic goal. That source of inspiration? The Gators themselves. Florida is Vanderbilt’s guiding light heading into this contest. 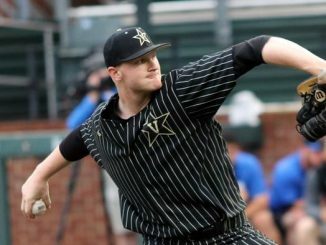 Vanderbilt can gain emotional fuel and fire from appreciating the journey UF has made through six games. Yes, Kentucky has a decent team this year, but as shown against Texas A&M, the Wildcats are still painfully limited on offense. They simply play great defense and try to ride that side of the ball to victory. The Cats hope they don’t trail late in games, because unless the defense comes up with an improbable touchdown (as it did against Texas A&M), UK’s passing game isn’t built to score under pressure. That limited Kentucky team nevertheless went into The Swamp at night in Week 2 and handled Florida, battering the Gators at the line of scrimmage. Feleipe Franks and the rest of the Florida offense looked lost. The offensive line was not up to par. Mullen and his staff were dealing with pronounced limitations, slowly trying to nurse the offense to a place of slightly greater stability. Even when the team took a noticeable step forward in a road win over Mississippi State, it barely did anything on offense, scoring only 13 points. Yet, one thing the Gators didn’t do was commit the big mistake. Another thing the Gators didn’t do: Fall behind by more than one score. A third thing the Gators didn’t do: Ease up in the fourth quarter, losing focus when the prize of victory was within reach. Coaches talk all the time about finishing, and Florida finished against Mississippi State. The larger product — a game which would have merited a quick changing of the channel if viewing a Jets-Raiders game on an NFL Sunday — was ugly. The process, however, was beautiful for Florida. The Gators needed to win that game, but what is more essential to note about the win in Starkville was the WAY in which it was achieved. Florida HAD to win that way. Franks was not going to outduel Nick Fitzgerald. Florida was not going to fare well in a shootout. The Gators needed to make that game ugly and disrupt Joe Moorhead’s offense. They did. They had the right plan and executed it. You see it in international soccer. You see it in the NBA and college basketball. You see it in hockey. You see it in many sports: One team has the free-flowing, high-scoring offense with the hotshot superstar. The other team can’t match up in a contest defined by raw firepower, so it structures its game plan around disrupting the more potent offense of the opponent. Style of play and use of personnel are universal in team sports. One year a team might be in position to win shootouts, equipped with the elite quarterback and the beastly receivers, but another year might force a team to win ugly. Florida did that against Mississippi State. Yet, for all that Florida demonstrated and achieved in that win in late September, LSU — unbeaten, No. 5 in the country, with some really bad dudes on defense — was supposed to represent a much bigger challenge than Mississippi State. Florida’s manifest limitations on offense gave the Gators very little margin for error, but UF nevertheless had to win ugly once again. Florida had to replicate its formula but with a much greater degree of difficulty. For a team which slowly evolved in September and had to content itself with small steps instead of giant leaps, making the jump from Mississippi State to LSU seemed daunting. The Gators were not deterred or denied. 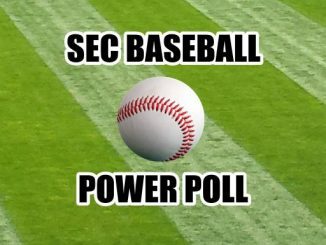 They didn’t play a complete game — they were dominated at times by LSU — but the boys in blue took punches and punched back. They fell behind and then scored. They endured adversity and then created discomfort for the Tigers. They didn’t always speak boldly, but they got in the last word. They won on a day when their quarterback, Franks, was 12 of 27 passing for 161 yards with one touchdown and one interception. If you had told Florida fans Franks would have that statistical line against LSU, they would not have been very confident, especially if you then said that Franks’ interception would have come in the end zone with Florida trying to build a second-half lead. Yet, Florida threaded the needle in many ways. Its overall output was modest — under 400 yards, only 4 of 13 third-down conversions, under 30 minutes of possession — but when the Gators did well on drives, they generally took those drives all the way, the one exception being the drive which ended with a pick in the end zone. Florida “grouped its production,” clustering it into small and supremely efficient scoring bursts, much as a baseball team might get only five hits in a game but puts them together in the same inning for a four-run explosion which creates a 4-3 win. Florida took a small-margin game and made its formula work against an opponent which would probably beat the Gators in a majority of 10 contests played on a neutral field. Managing the game, getting timely production, and finishing drives were the three linchpins of the Gators’ victory. Let those details sink in. 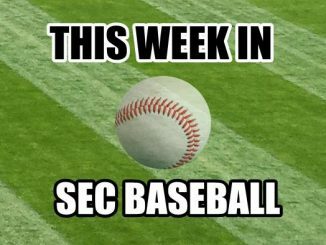 Absorb all the ways in which Florida defeated LSU and has had to slowly but steadily evolve over the course of the season. In a statement which can be filed under the banner, “Easy to Say, Hard to Do,” that is what Vanderbilt needs to do to Florida this weekend. 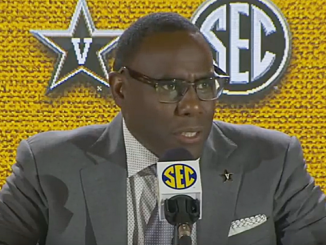 The Gators offer the very template VU can use to achieve a significant victory, change the trajectory of this season, and enable Derek Mason to breathe more freely. 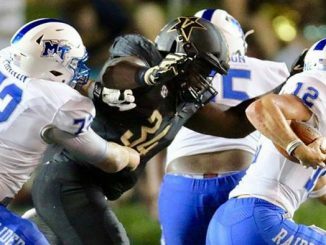 Think about it: No one expects — and shouldn’t expect — Vanderbilt to create a masterpiece against Florida. Nothing about this team points to a letter-perfect performance. Much as Florida beat LSU without playing at an overwhelmingly high level but seizing narrow windows of opportunity, Vanderbilt has to do the same against Florida. 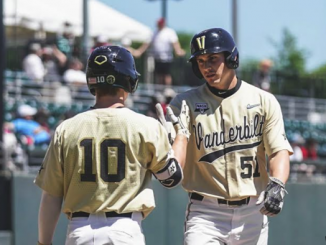 This is a realistic path to victory: VU can’t expect to put up bright, shiny numbers. Vanderbilt will make mistakes such as the interception Franks threw against LSU. Yet, the larger task is achievable. Florida is — at the moment (it might not be the case in 2019) — a lot like the Tony Bennett basketball teams at Virginia or the Bo Ryan (now Greg Gard) teams at Wisconsin. This is a team which will usually win, but it plays games with a style and emphasis that lead to lower scores, which invite smaller margins of victory. When trying to play that style — Stanford and Michigan State are two college football programs finding this out the hard way in 2018 — any noticeable degree of slippage turns a small and favorable margin into a defeat. 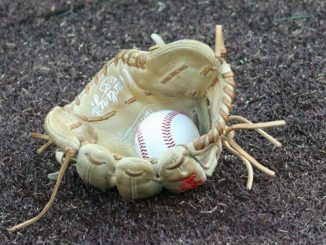 Teams that try to play defense-first brands of ball, either out of necessity or desire, often derive long-term success from their points of emphasis, but on the given day when they are sloppy, the architecture crumbles, and the underdog gets its chance. Florida did this against LSU — the Tigers had not been committing the huge turnover this season, but they allowed three turnovers against the Gators’ defense. The question must therefore be asked: Why can’t Vanderbilt apply this same formula to the Gators this Saturday? 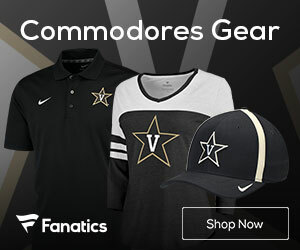 Florida is Vanderbilt’s source of inspiration… for beating Florida. Life can be strange that way.